THREE days ago, Arsenal produced one of those performances that have regularly hauled Arsene Wenger back from the brink over recent seasons. After four successive defeats, they beat AC Milan 2-0 in the Europa League. And, sure enough, those who have been urging the Frenchman to make this season his last at the club – 88% of the Arsenal Supporters’ Trust, for instance –began to waver. I would urge them not to be fooled. More importantly, I would urge Wenger not to be fooled. By any normal standards, he should have been relieved of his duties years ago. Chelsea regularly sack managers the year after they’ve won the title, and might do so again in May. Manchester United dismissed Louis van Gaal the day he won the FA Cup, Liverpool ditched Brendan Rodgers after the club’s best recent season, Manchester City dispensed with both Roberto Mancini and Manuel Pellegrini after they became Premier League Champions. Even Leicester couldn’t accept a trophy-less follow-up to Claudio Ranieri’s miracle title win. 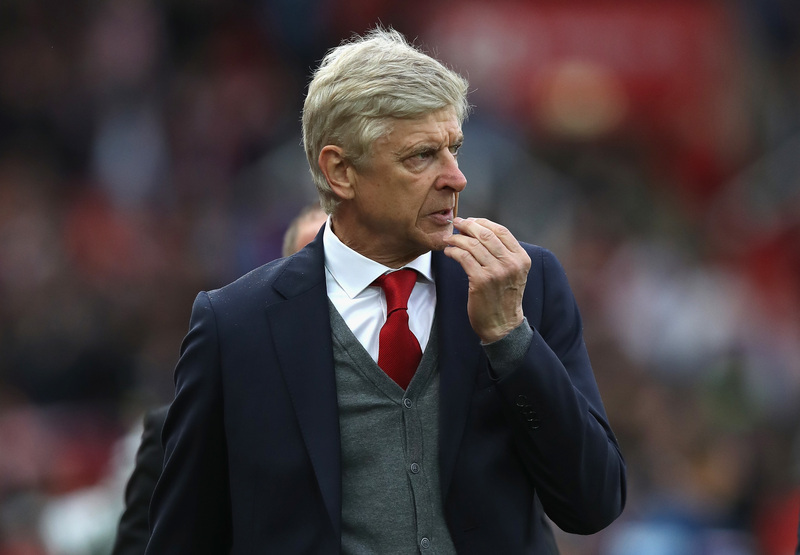 Arsenal, though, have allowed Wenger to manage for 13 years on three FA Cups and a succession of top-four finishes. They missed out on the Champions League last season and seem certain to do so again unless they win the Europa League. Wenger signed a new two-year deal last summer so he’ll have a year to run when this campaign ends. The club can’t afford to limp through next season knowing that their manager is again winding down his contract and prevaricating on whether to stay. Even if the Europa League trophy is in the boardroom and Champions League football has been secured Arsenal now need to think beyond Wenger. However, they shouldn’t have to make the decision because Wenger should make it himself. He should not be thinking of putting himself through the wringer of another season during which he is likely to again be criticised and even ridiculed. He was the bees’ knees when he arrived in England, with his fancy Continental ideas. The trophies came and kept on coming until the landscape changed and clubs willing and able to buy titles overtook Arsenal. The last decade has shown that a good coach who buys the best players will always beat a good coach who tries to make do with merely decent ones. It’s always tempting to advocate one last chance for Wenger. He has been a wonderful influence on the English game and deserves every respect. But if he clings on to power his legacy will become ever more tarnished, and that would be very sad.